With over 20 years of letterpress experience, your instructor is Lynda Sherman. Lynda brings her life as an artist, creative business owner and constant collaborator to share with you. She has taught at Penland School of Crafts as well as other national workshops. Her letterpress posters are in the permanent collection of the Center for the Study of Political Graphics and her prints in the Swedish Collection. You don't need to come prepared with a design in mind, as we collaborate over conversation, discovery and exploration. We will be creating a distinct and unique letterpress Business Card/Calling Card based on original content, discourse, and imagination using handset letterpress and printing a vintage printing press. $250. One-on-One, 4 Hours. Bring your own short poem or we can discover one together as a conversation is a portal to a poem. A Pocket Poem is sized as a business card and fits easily into your pocket! 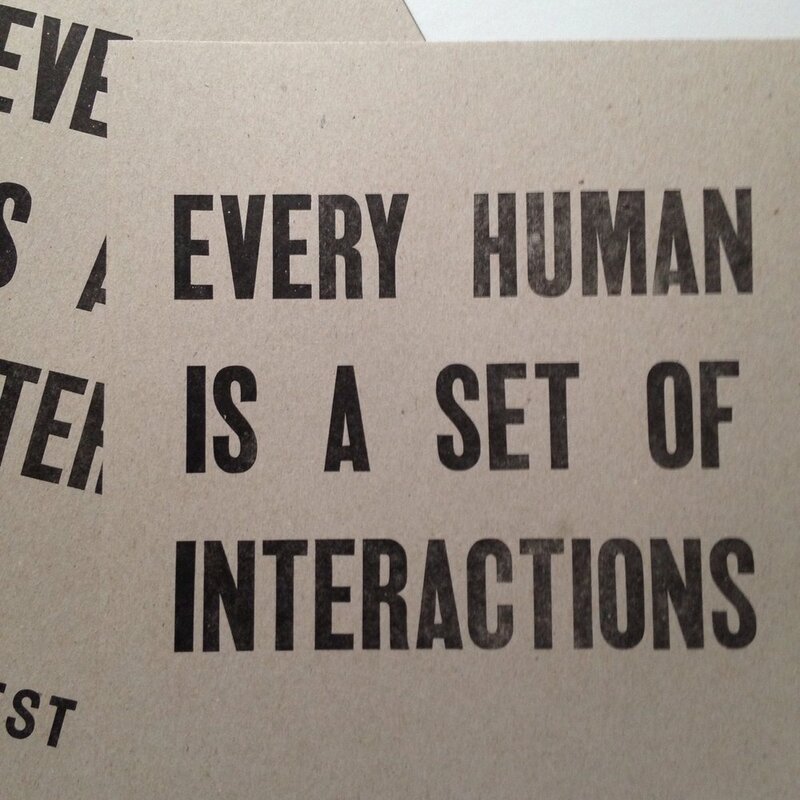 These handset letterpress poems travel easily and are ready to be handed out to the people you meet. You will have the pleasure of giving someone a surprise. $200.00 One-on-One, 4 Hours. Want to give a gift that is an experience? This workshop offers creative exploration through discourse, discussion and imagination. $200.00 One-on-One, 4 Hours. Get ready to meet in the streets! This creative letterpress poster workshop begins with a conversation reviewing resistance posters and looking through letterpress ephemera from Bremelo's collection. $400. 3 Students, 4 Hours.